A smile makes everything better, and Gentle Dental Care of Magnolia wants you to have a beautiful, healthy smile. Our entire staff of Magnolia dentists, specialists, and assistants have a desire to help your smile be as radiant as possible. We’re pleased to serve Magnolia, The Woodlands, and Pinehurst communities with pediatric, family and emergency dental services. At Gentle Dental Care, we want you to have the most comfortable dental treatment experience possible. Comfort is a major focus of our practice. Our Magnolia dentists aim to provide pediatric, family and emergency service treatments that are effective with as little to no discomfort as possible. Our office uses the latest in cutting edge technology and treatment techniques. We work to ensure that any dental issue you may have gets treated properly. As they say, you only have one second to make a positive impression. And your smile makes for a big one. Obviously, you are going to want to have a warm, inviting smile that puts whoever you are speaking to at ease. 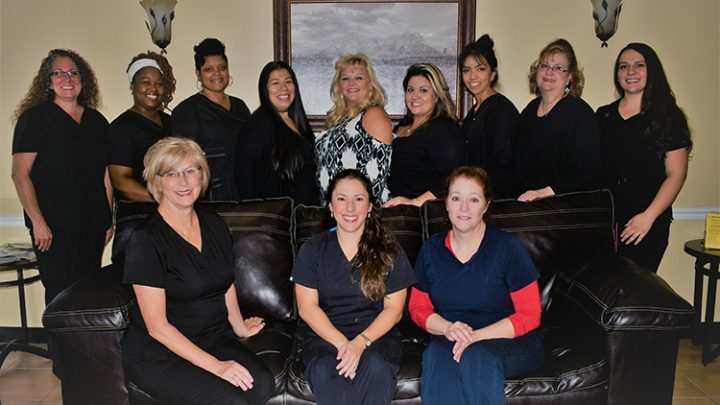 At our Magnolia office, Gentle Dental offers many cosmetic dental treatments to improve the look of your smile. For example, we offer ZOOM® teeth whitening system that can help your teeth appear 6-8 shades lighter. Don’t like traditional braces? Not a problem. We offer Invisalign™, one of the most popular clear align brace alternatives available today. Good dental hygiene is the cornerstone of good oral health. A semi-annual dental cleaning can help prevent serious oral diseases such as periodontal disease, tooth decay, and oral cancer. As a result, you can keep a healthy smile for a very long time with regular dental check-ups. Moreover, regular dental cleanings keep your breath fresh as biofilm, plaque, and tartar build up gets cleaned up. Plus, dental cleanings are covered by most dental insurance companies. We encourage you to set your dental hygiene appointment today. Great oral health starts early, and our Magnolia pediatric, family and emergency dental specialists at Gentle Dental will help your child have clean, healthy teeth. In addition to regular dental check-ups, our pediatric dentist can treat many dental problems found in children such as baby bottle tooth decay, cavities, and misaligned teeth. Plus, we offer specialized treatment plans for children.